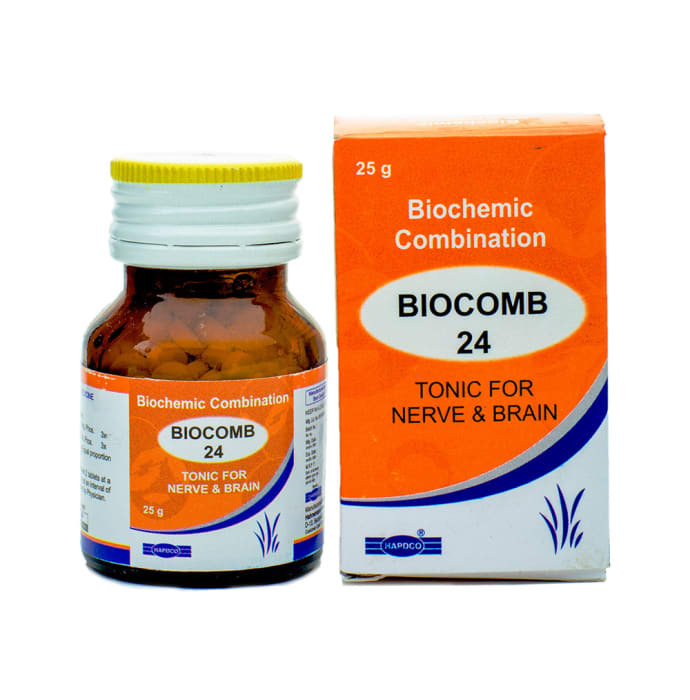 Hapdco Bio-Combination 24 Tablet is a homoeopathic health tonic which helps in improving general health and strength in your body. It is helpful in reversing the ill effects of diseases such as Anaemia which cause debility and weakness. It is also helpful in curing sleep and digestive disorders. Nervous exhaustion, weakness of muscles and body pain can also be relieved using this remedy. It supports general health and well being. Adults should take 2 to 4 tablets, four times daily and children should take 2 tablets twice a day or as recommended by the physician.